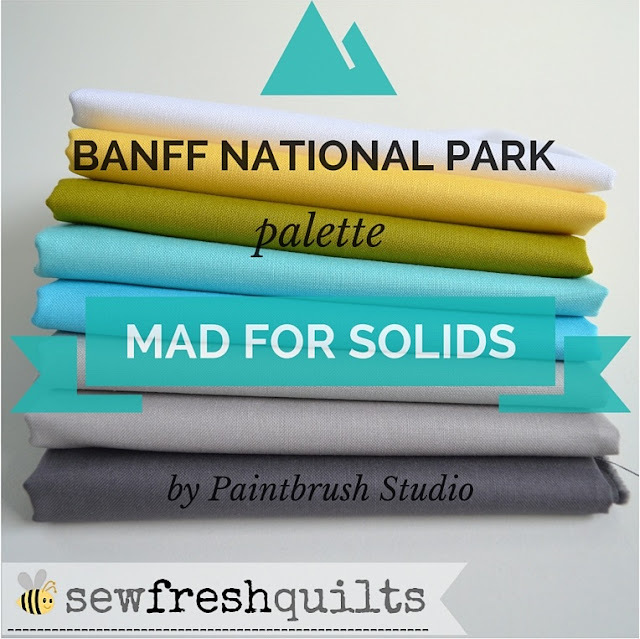 You know I am MAD FOR SOLIDS! Mad for Solids is a competition sponsored by Paintbrush Studio. We 16 bloggers have each selected a palette of 8 solids from the Inspired by Fabric's Painter's Palette Solids. All of the bundles were shown on the Inspired by Fabric blog post here. Please hop over to their post to see all of the solid palettes. And then click on their HOME tab at the top left of the page to see today's post. Each day, starting today, you can vote on your favourite palette match-up for your chance to win some sweet solids of your own! These are bundles of 8 pieces. It was not an easy choice to make. So many pretty colours! 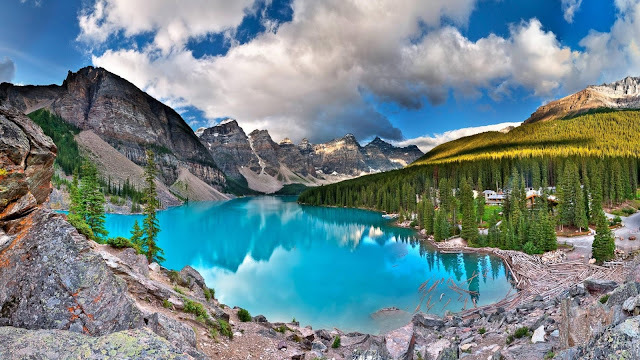 My bundle is called Banff National Park and was inspired by this photo found online. I am naturally drawn to a color palette that includes blues and greens. Think cool waters. A lake. And the clear, blue sky. The yellow adds contrast. Think of the warmth of the sunlight and new spring growth. The white and grey additions provide depth. Think of rocky mountains and fluffy, lazy clouds. Picture perfect. Nature. 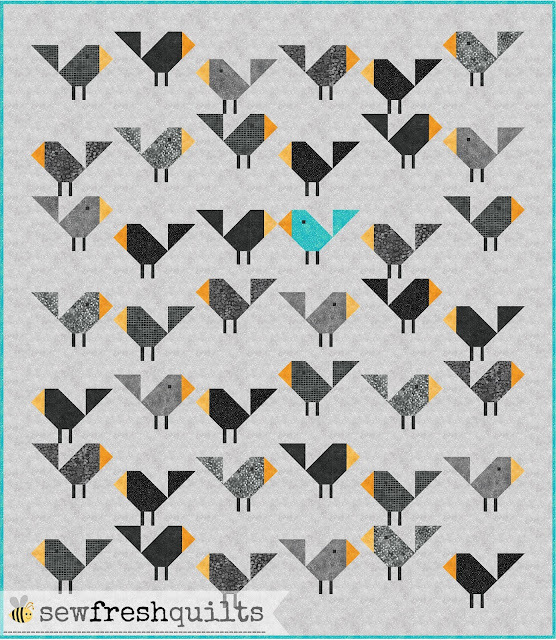 So click on over Inspired by Fabric's blog to vote for a chance to win some fabric! Then check in each day to vote for your next favourite. Welcome to the next block tutorial for the Ugly Christmas Sweaters QAL! Today's tutorial is for the Wreath and Berries 6" quilt block. For block 1, draw a diagonal line across the wrong side of ONE (A) square and place it on the (B) square. Sew along the diagonal, trim ¼” seam and press the seam open. 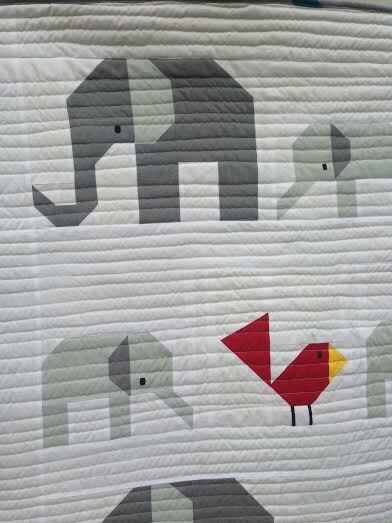 For block 2, sew the (F) and (D) pieces together, sew a (C) rectangle on top and an (E) rectangle on the bottom. 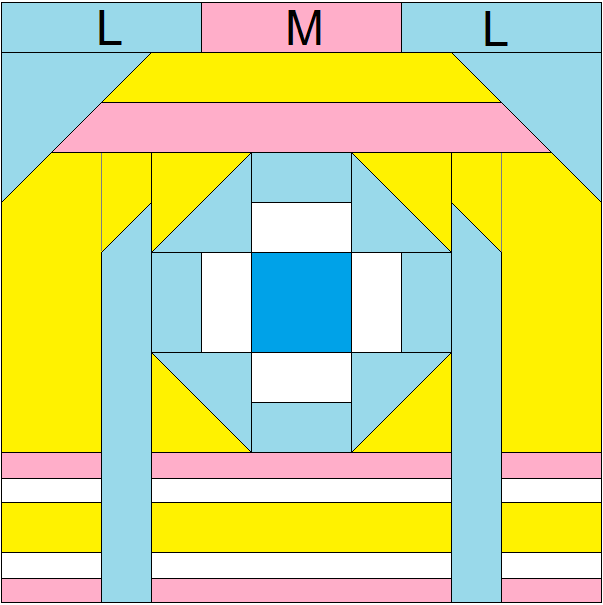 For block 3, sew the (F) and (D) pieces together, sew a (G) rectangle on top and an (H) rectangle on the bottom. 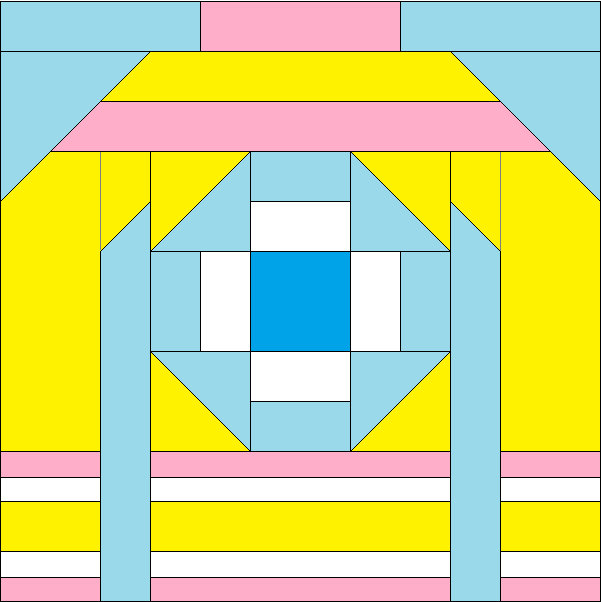 Draw a diagonal line across the wrong side of ONE (A) square and place it on Block 3. Sew along the diagonal, trim ¼” seam and press the seam open. 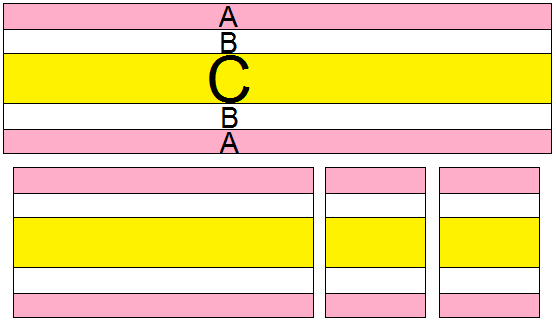 For block 4, sew the (F) and (D) pieces together, sew a (C) rectangle on left side and an (E) rectangle on the right side. 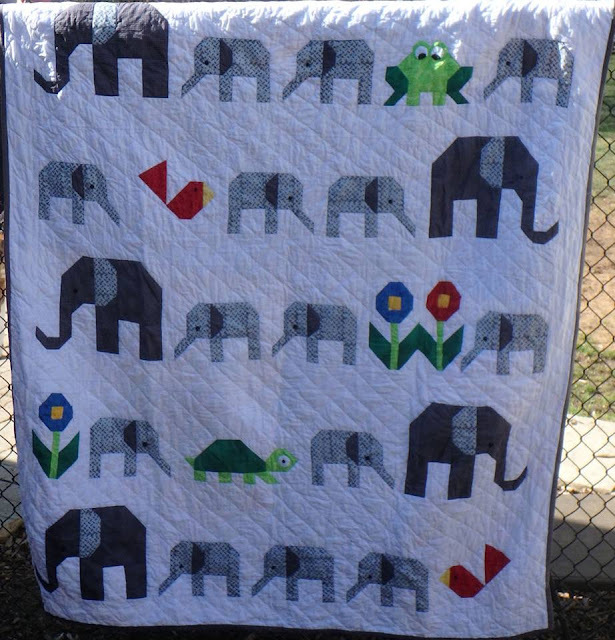 For block 6, sew the (D) and (F) pieces together, sew an (E) rectangle on top and a (C) rectangle on the bottom. For block 7, sew the (D) and (F) pieces together, sew an (H) rectangle on top and a (G) rectangle on the bottom. 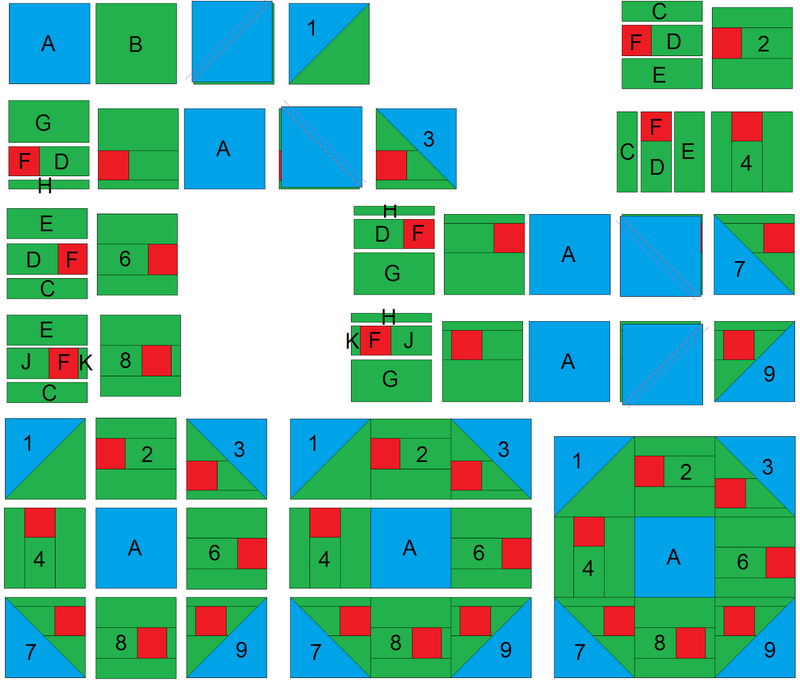 Draw a diagonal line across the wrong side of ONE (A) square and place it on Block 7. Sew along the diagonal, trim ¼” seam and press the seam open. For block 8, sew the (J), (F) and (K) pieces together, sew an (E) rectangle on top and a (C) rectangle on the bottom. 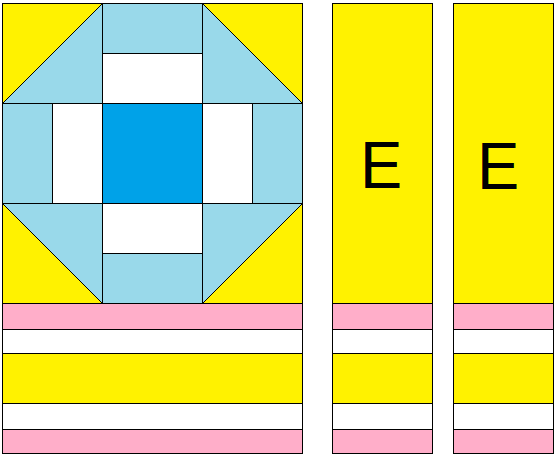 For block 9, sew the (K), (F) and (J) pieces together, pieces together, sew an (H) rectangle on top and a (G) rectangle on the bottom. Draw a diagonal line across the wrong side of ONE (A) square and place it on Block 9. Sew along the diagonal, trim ¼” seam and press the seam open. 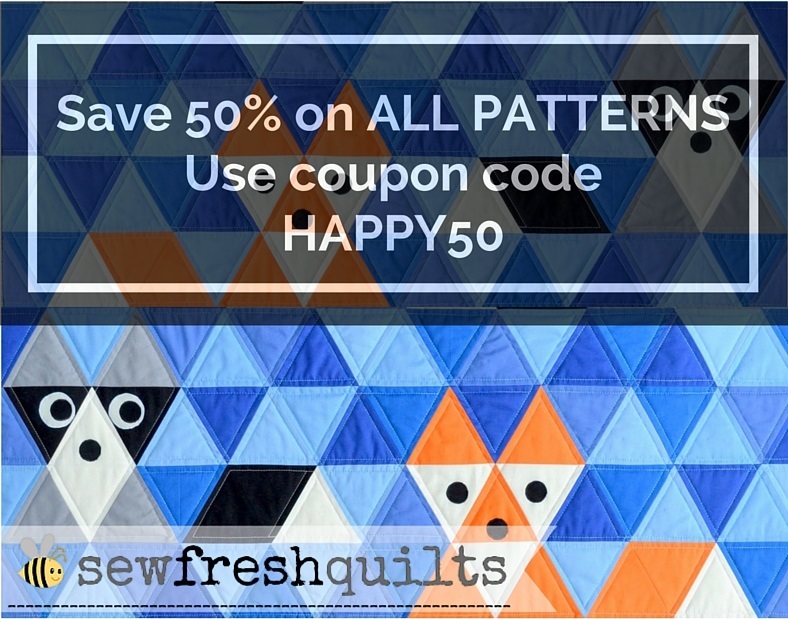 Sew these BLOCKS together with remaining (A) square, making three rows. 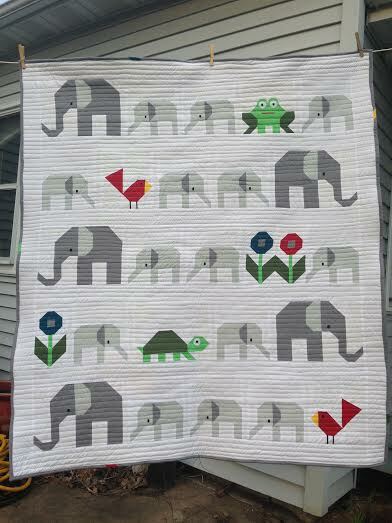 Sew the rows together. 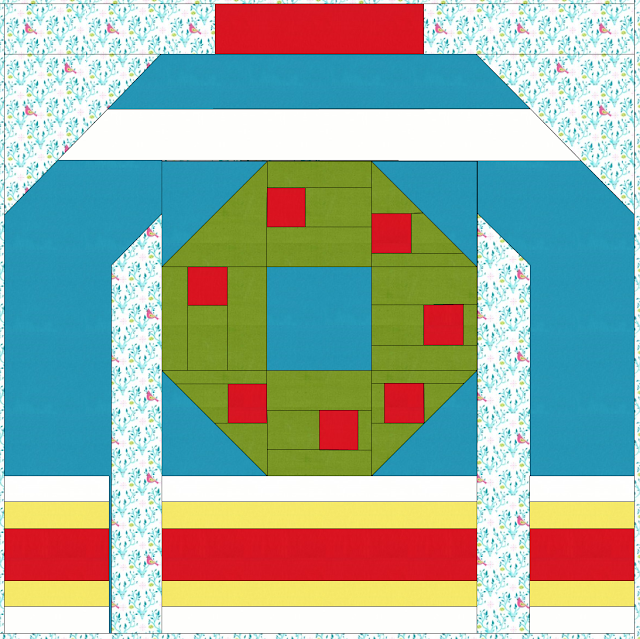 I chose to display my Swedish Star block using the Sweater #2 option, using the Turquoise in place of the yellow. Step 1: Sew the (A), (B) and (C) rectangles together. Crosscut into 1 unit @ 6.5” wide and 2 units @ 2.5” wide. Step 2: Sew the 6.5” wide (ABC) unit to the bottom of the 6.5” feature block of your choice made in the previous steps of this pattern. For the Sleeves, sew the (E) rectangles to the 2 (ABC) units @ 2.5” wide. Step 3: To complete the Sleeves, draw a diagonal line on the wrong side of the (F) rectangles, place them on the ends of the (G) rectangles and sew along the diagonal. Trim ¼” seam and press open. Sew this (FG) unit to the sleeve unit made in the previous step. Step 4: Sew the Sleeves onto the sides of the feature block unit. 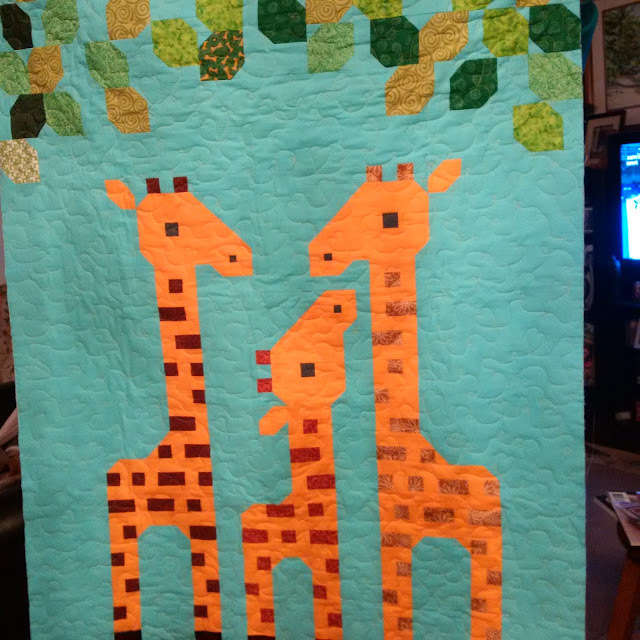 Sew the (HJ) rectangle on top. Draw a diagonal line across the wrong side of the (K) squares and place them on the corners. Sew along the diagonal lines, as shown in red. Trim a 1/4" seam and press open. Step 5: Sew the (L) and (M) rectangles together to make the collar and sew on top to finish the block. Don't forget!!! You can use the cut off corners when following the shoulder instructions in Step #4 to make these bonus 2.5" half square triangles! I cut first and then sew along the cut edge to make mine. But you could also sew a seam 1/2" away from your diagonal seam at the same time. And then cut between the two seams. 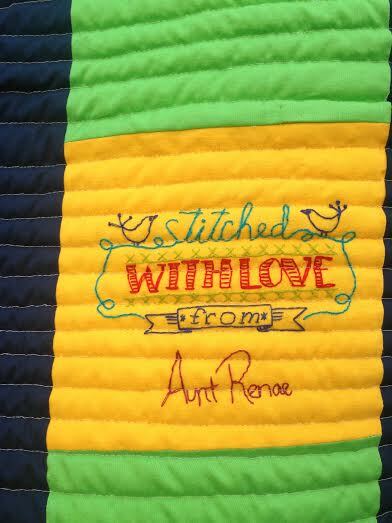 You can click here to go to the Ugly Christmas Sweaters Quilt Along page for all the details. On that page you will find the layouts and quilt sizes and also see the full schedule. 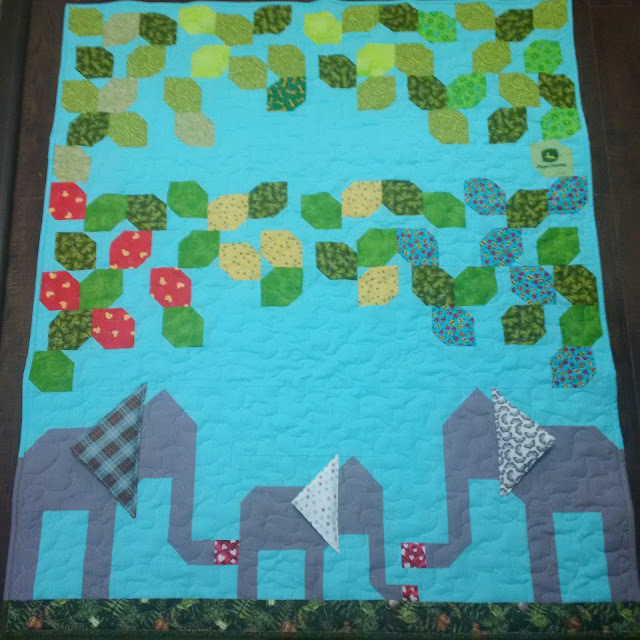 We would love to have you join the Quilt Along with Sew Fresh Quilts Flickr group!